The Netherlands is diverse and offers something for everyone. Groepen.nl has a wide range of group accommodation in almost every part of our small country. If you come for nature, we offer you vacation homes in the vicinity of the Laarderbos in Groningen, as well as around the Loonse en Drunense Duinen in North Brabant. Do you prefer the woods? The Kluivingsbos Drenthe or the Annabos in South Holand are worth a visit. Active groups can book with us accommodations with tennis court, swimming pool or sports, and family groups can find a nice destination where mostly the decor is key. 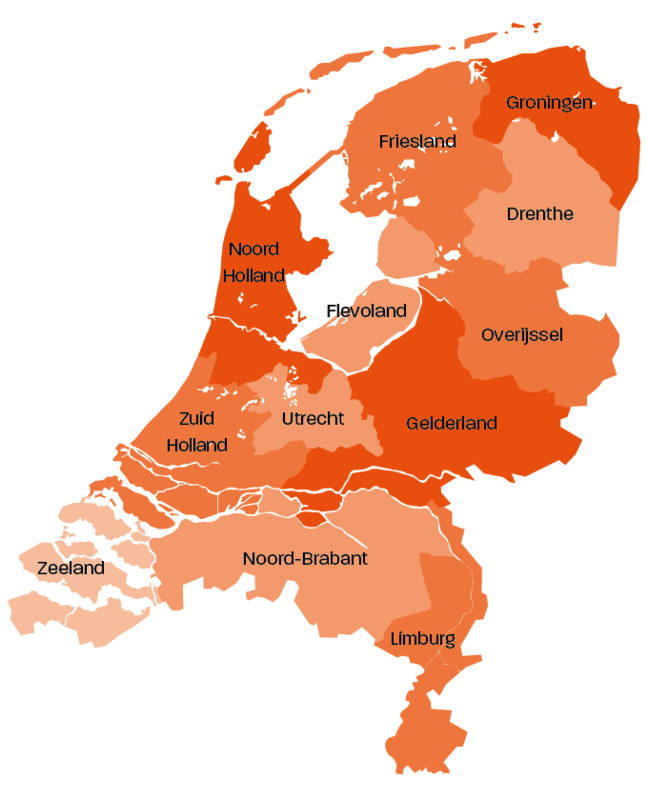 Well, we could go on and on but if your starting point must be a specific province in the Netherlands you can start below by clicking on your preference.